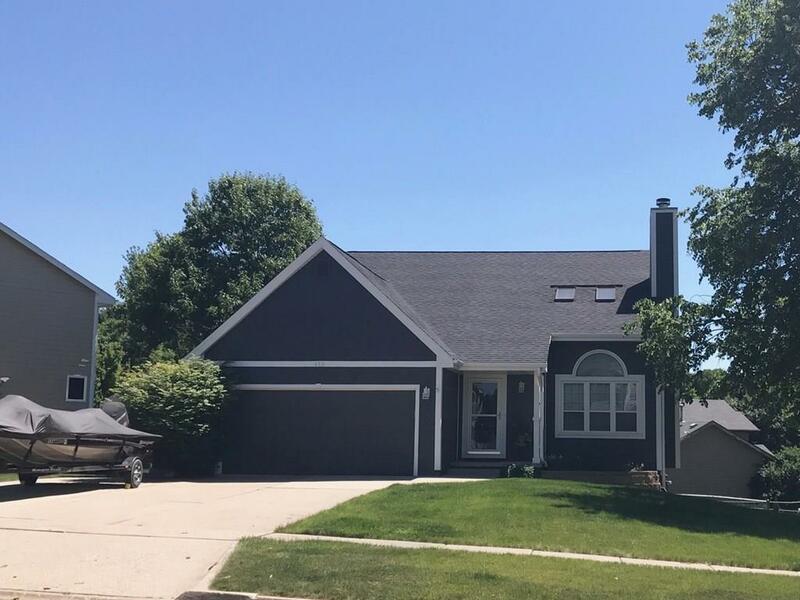 Beautiful Well-Maintained 1 Â½ Story Home in Charming West Des Moines. Enter to an Impressive Vaulted Ceiling w/ Newer Skylights. Glide Up the Wide Staircase to the Large Loft Room Perfect for a Home Office, Library or Childrenâs Area. 2-Large Bedrooms with One Full Bath Upstairs. ALL NEW IN SEPTEMBER 2011: Stylish HardiePlankÂ® Concrete Exterior Lap Siding/Trim, Windows, Exterior Doors, Patio Doors, Architectural Roof, Pressure-Treated Deck. New January 2019: Wall-To-Wall Carpet and Paint Throughout! Enjoy a Morning Cup of Coffee Watching the Sunrise and Listening to Birds Chirp from the Spacious Rear Deck Conveniently Accessed from the Main-Floor Master Bedroom! Newer Modern Master Bath with Tiled Shower and Floor. Come Down the Extra Wide Basement Stairs to Enjoy the Spacious Family Room/Man Cave with Daylight Windows then Walk-Out to the Newer Deck. Park Your Boat, Camper, or Extra Vehicle on the Third Concrete Parking Pad. Close to Valley High, ICA, Shopping, Parks and Dining.